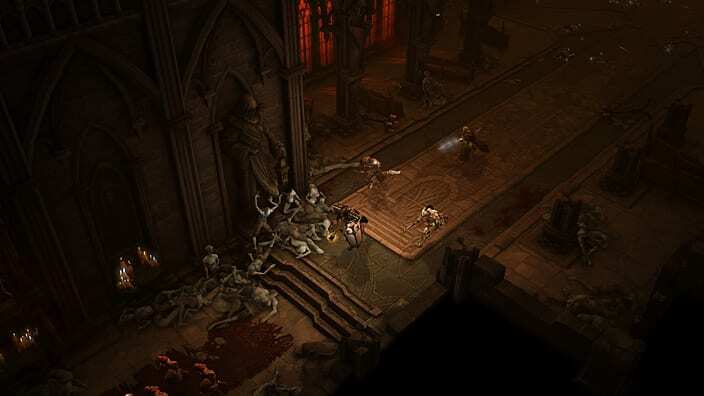 Blizzard have finally shut down support for the controversial auction house in Diablo 3. Just under two years since it first hit PC, Diablo 3 has finally seen their auction house shut down. The game suffered a troubled launch and quickly became the poster-child in anti-DRM arguments. It’s been a long time since the legendary Error 37 days, but many fans of the franchise still find issue with the game. The auction house, up until today, was one of the largest issues. The auction house button still lingers on Diablo 3’s main menu, but listing and buying items is now impossible. Despite being the fifth best selling PC game in history, Blizzard appear to appreciate that the game isn’t yet up to standard. Their recent 2.0 update increased the chances to find better loot, pushing the auction house further and further away as it did so. However, with the announcement today of the death of the auction house, it’s hoped the ‘failure’ of Diablo 3 and it’s anti-consumer, always-online DRM will dissuade developers from using the controversial anti-piracy measures in future. Eyes are now gazing towards EA and Sim City, hoping that they’ll follow suit and fix the still broken aspects of their own DRM influenced albatross. Companies will almost comparable levels of mistrust, both EA and Blizzard will have plenty more work to do to make gamers forget about their previous DRM hang ups. That said, any step to remove these features is a step in the right direction. Although the auction house isn’t wholly a product of DRM, the fact that it’s going is nothing if not a bright sign for the future. For those of you worried about any items you might have on the auction house as of today, don’t worry. Your items will simply expire like normal and you’ll then be able to collect them as standard. This entry was posted in All, Mac, News, Opinion, PC and tagged Auction House, Blozzard, Diablo 3, DRM.